A great pair of birthstone earrings are these May Claddagh earrings. 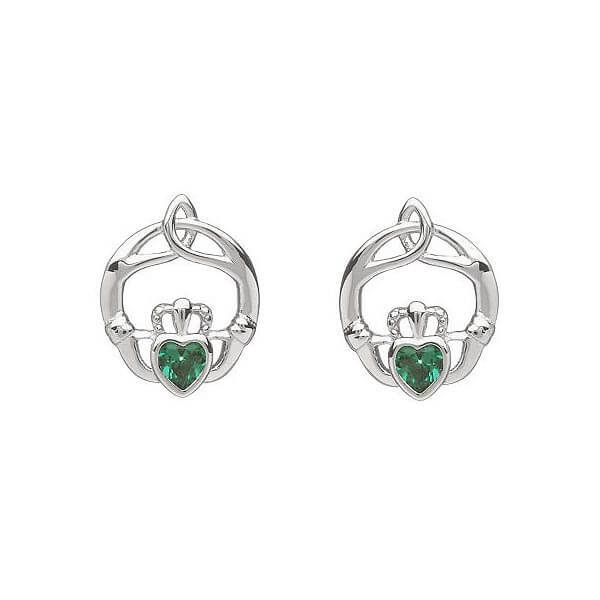 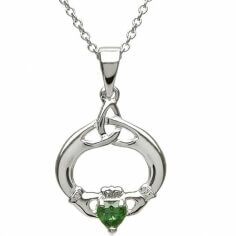 In sterling silver, this Claddagh design is beautiful with emeralds at the middle point of each earring. 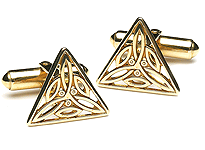 Women born in May will look great with these on their ears. 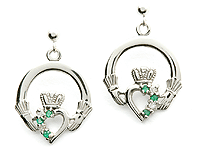 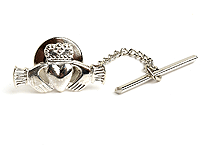 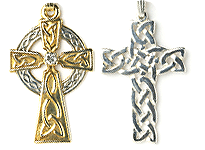 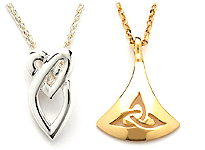 The Claddagh symbol is used to show that a person has given their heart away to another. 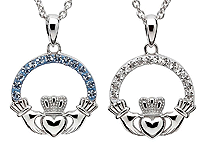 The two hands holding a heart that is wearing a crown represent friendship, love, and loyalty. 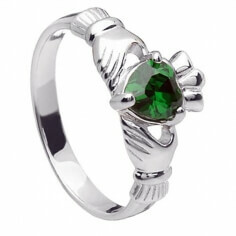 The emeralds are a symbol of hope, and are said to give the wearer a reason and wisdom.